I have been using gnome for some times now, and I feel like I want to experience other X Window. I have used Fluxbox in the past, but it was affecting my productivity, so I never really made the switch. This time, I will try Xfce for a little while. We used to have this window manager at McGill, and it is very light, and fast. 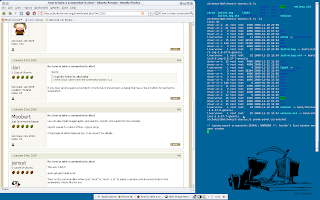 The cool thing about xfce is that I can setup a transparent shell on the background.